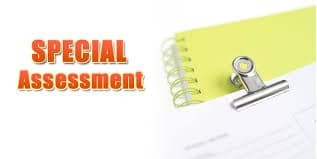 How To Prevent Special Assessments? Many Canadians think that special assessments are mandatory. However, that is not the truth. If you have a well-managed condo community, you can rely on your reserve funds as and when it is required. There are ways to prevent special assessments.Both potential home buyers and existing owners can take steps to avoid costly assessments. When it comes to unexpected repairs, they are nothing less than unwelcome surprises which can be quite expensive. What makes special assessments unreasonable expenses to most owners is that everyone has to pay for them without regard how long they had owned a unit. In other words, it is inequitable. There are some provisions in the law in some provinces that limit how much special assessment can be levied by the board in a year. it requires the approval of majority unit owners before levying several times the monthly assessment of the owner. So if the second special assessment and the balance from the first assessment are more than the legal limit, it will have to be approved by the unit owners. The unit owners can elect board members who have similar financial circumstances and views. This can help in limiting the frequency of assessments. Potential buyers should consider the building’s age, location and condition before purchasing to prevent costly assessments. Sufficient insurance is also an important factor in preventing special assessments. Even when the board has adequate reserve fund, an emergency situation may require them to levy an expensive special assessment. This usually happens when the common areas don’t have sufficient insurance. There are disasters and damages that can result in unexpected major repairs and such costs are usually not anticipated when the reserve account is funded. Check the condo community’s insurance policy and find out if the insurance provides sufficient coverage. If the deductibles are high, it is a clear sign that an emergency special assessment cannot be prevented. A special assessment is not necessary if the board can plan well and create the required reserves. A well-managed association will plan strategically to prevent the need for special assessment. The board members should realize that the adverse effects of a major financial surprise, combined with inequity, can be too much for the community to overcome. The board must take an objective look of the potential future expenses. All systems and components should be evaluated for any need for major repairs or replacement, and the potential costs involved. What to Consider As a Condo Owner? How much reserve fund does the building have? Are the condo fees too low for maintaining a decent reserve fund? Check the association’s budget reports and consider whether they seem to be reasonable and match the reported expenses. What to Consider As a Potential Buyer? As a potential condo buyer, consider the builder’s reputation. Meet other residents and learn about their experience as a buyer. Find out if the property is properly managed and whether there are any issues. You can also ask to review the AGM minutes and the reserve fund studies. Make sure that the building is sound from every aspect – legal, financial, and structural. Consider all these points and take the right steps when looking to prevent special assessments.